Want a more collaborative, real-time spreadsheet to help manage your work? Below you’ll find a wide variety of Microsoft Excel Templates that are easy to use and free to download. These templates have been designed with efficiency and organization in mind, allowing you to save time while creating professional documents. Reusable templates make it easy to streamline business processes, and these spreadsheets are fully customizable, so they can be modified to suit your needs. Whether you need an Excel spreadsheet for business or personal use, simply click the download button below each template to select and save the file to your computer. 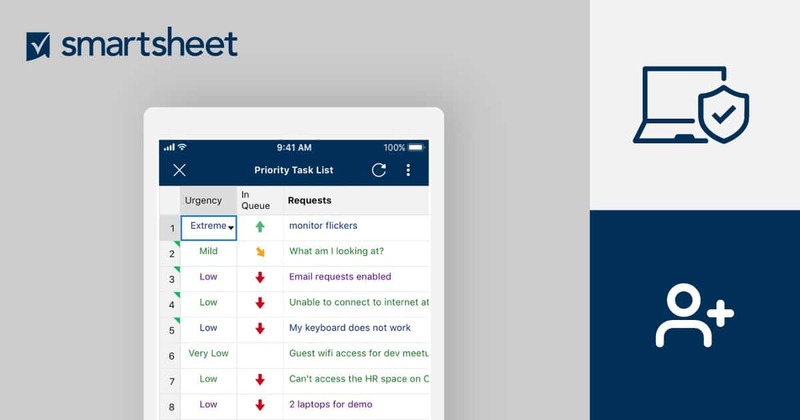 We’ve also included templates in Smartsheet, a spreadsheet-inspired work execution platform that makes tracking, managing, and automating your projects and processes easier and more collaborative than Excel. All projects benefit from tools that boost organization, and project management timeline templates can be useful for both large and small projects. 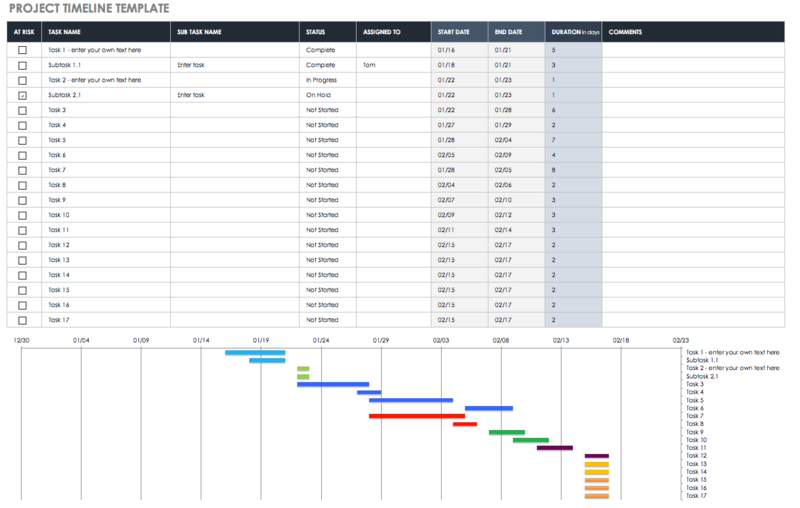 This timeline template serves as a project planner, to-do list, and tracker. Project managers can create a detailed monthly and quarterly schedule, mark important milestones, and track progress through each stage of a project. You can update the spreadsheet as issues arise or changes are needed. 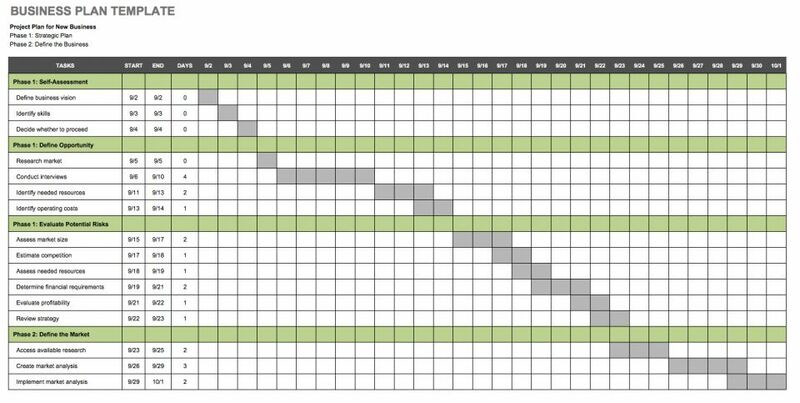 A Gantt chart template provides a visual timeline for projects, using horizontal bars to illustrate the duration of each task. This makes it easy to view how tasks overlap and to get an overview of how a project is unfolding. A Gantt chart is a useful communication tool for teams to see who owns what tasks and when deadlines or releases are approaching. This Excel template provides a simple chart that you can combine with other planning and analysis tools for a comprehensive project management process. 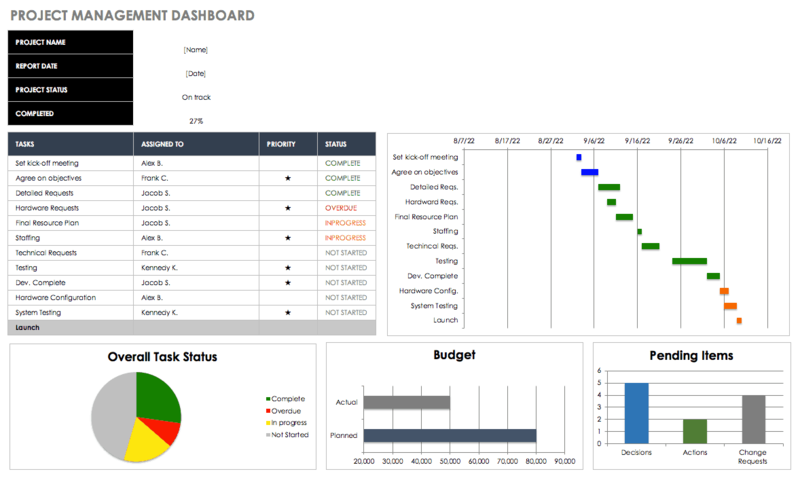 This project management dashboard template provides a quick glance at important project information, including a timeline, project financials, risk analysis, open issues, and more. The dashboard format creates a graphical report so that data is easy to view and understand. 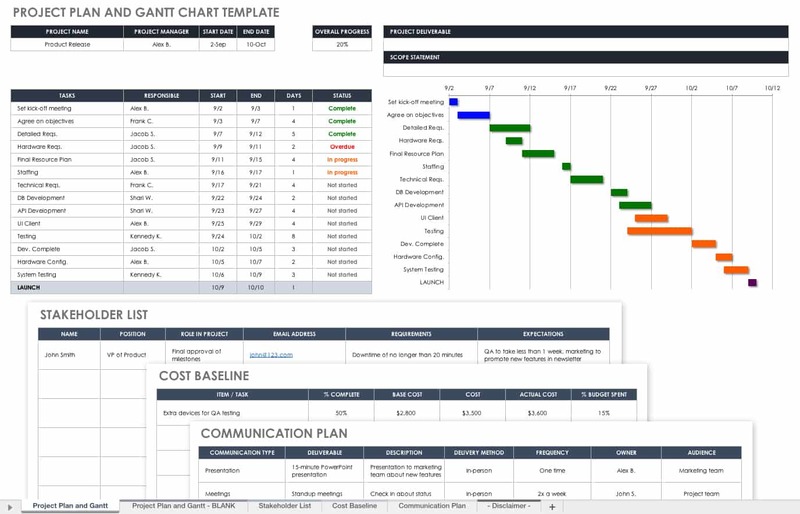 This is a constructive tool for creating visual presentations, communicating with stakeholders, and streamlining project management. 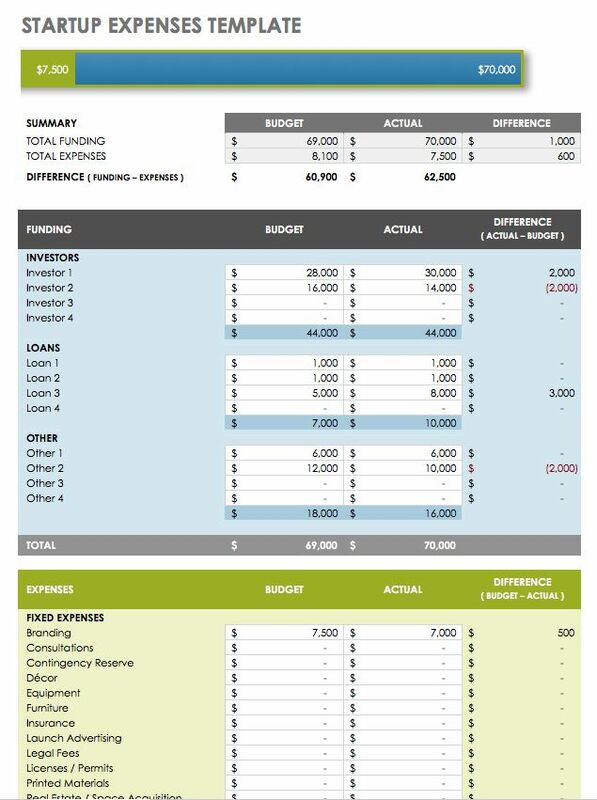 Use this project budget template to plan and track costs for each project task, comparing your budgeted costs with actual expenditures. Since projects are prone to changing over time, keeping a detailed budget can help ensure that your resources are on track and in line with your project needs. This is a practical tool for managing a current project as well as forecasting costs for future projects. This business budget template provides a comprehensive list of income sources and business expenses so that you can track operating costs and create a balanced budget. When planning your budget, include both fixed and variable expenses to get an accurate picture of your monthly or annual costs. The template will subtract these costs from your income to show how much budget you have to work with and where you might need to make cuts. Large-scale events may be expensive affairs with budgets that include money allotments for staffing, marketing, travel, and more. But even small events can benefit from budget planning to keep costs low. This event budget template includes a pie chart that displays the percentage of resources allocated to different categories. It also includes a chart that shows projected versus actual expenses for each budget category. You get a spreadsheet for detailed planning along with a snapshot of expenditures. This simple budget template keeps things easy, weighing expenses against income for a quick financial overview. 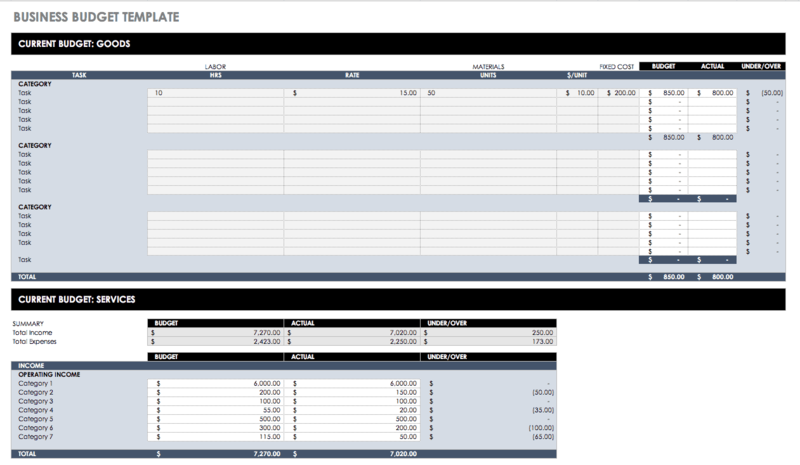 The template includes a basic dashboard that shows remaining income after expenses. Students, individuals who want a simple personal budget, or even small businesses that don’t require a more complex budget could use this template. A household budget takes into consideration all shared income and expenses for a family or other shared living arrangements. Use this template to create a monthly budget and track savings. You can edit the spreadsheet to include whatever expenses are relevant for your situation, whether you’re saving for retirement, paying for child care, or planning a vacation. You may be creating your first budget or planning for retirement. Either way, the importance of a personal budget can’t be overstated. Using an Excel personal budget template is a simple way to view monthly spending, help ensure that you add money to savings, reduce financial stress, and plan for short- and long-term financial goals. 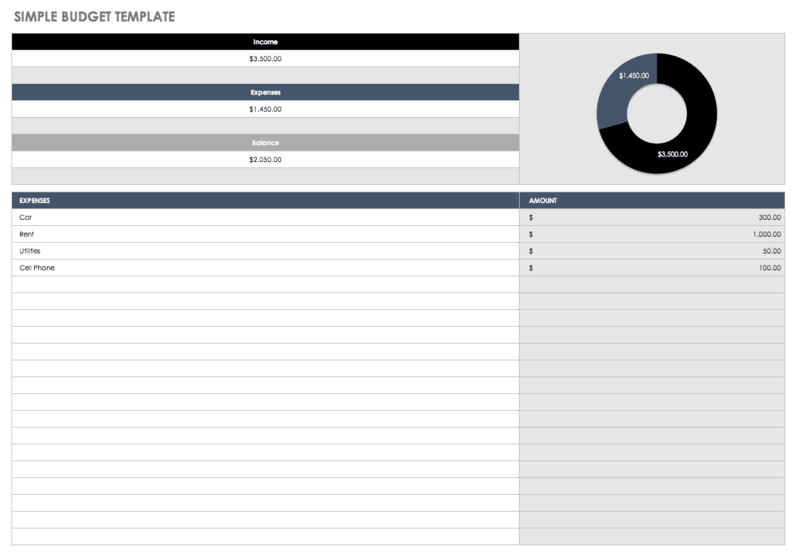 This template also includes a dashboard for visualizing your financial situation. This loan amortization template acts as a mortgage calculator, showing your loan balance, including principal and interest, after each payment. Use this template to plan your mortgage loan payoff or to track how much you have paid over time. You can also quickly see the loan interest rate, the number of payments made, and minimum monthly payment amount. Also known as a profit and loss statement, an income statement shows a company’s financial performance for a given period. This income statement template displays data for two years, providing a comparison of revenue and expenses. Companies of any size can use this template to track financial performance and compare net income over time. 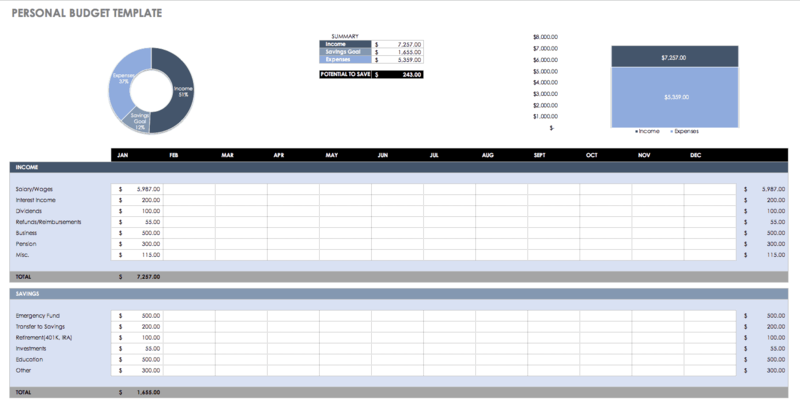 This template includes three sheets: one showing a simple statement of incoming and outgoing cash flows, a second showing cash flows over three years, and a third showing data for a 12-month period. This allows you to view and compare financial activity on a monthly or annual basis. A balance sheet can quickly provide insight into a company’s financial standing. This template displays assets, liabilities, and equity to represent the financial status at a particular point in time and compare that information to a previous period. Enter the data for your company, and the template calculates the balance of assets and liabilities. This travel itinerary template is beneficial for planning a vacation or business trip. It includes columns for all of the crucial information related to transportation, accommodations, and other travel details. You can print the template to have a hard copy while traveling, or save it to the cloud for online access from a mobile device. Business people will appreciate using this gas mileage log and calculator to get reimbursed for travel costs, but you could also use it to track personal travel time and vehicle expenses. The template includes sections for odometer readings, total miles traveled, the purpose of the trip, and reimbursement rate. There is also room for additional comments. You can use this template to keep track of business travel costs and request reimbursement for expenses such as lodging, meals, transportation, entertainment, and more. Include receipts with the report to verify all expenses. The template has space for signatures, employee information, notes about expense details, and travel dates. This invoice template is for business services and displays the number of hours worked, hourly rates, and total amounts due. A service invoice is useful for freelance workers, consultants, and others who need to document and bill for hourly work. You can itemize tasks completed so that clients can see hours spent on different aspects of a given project. 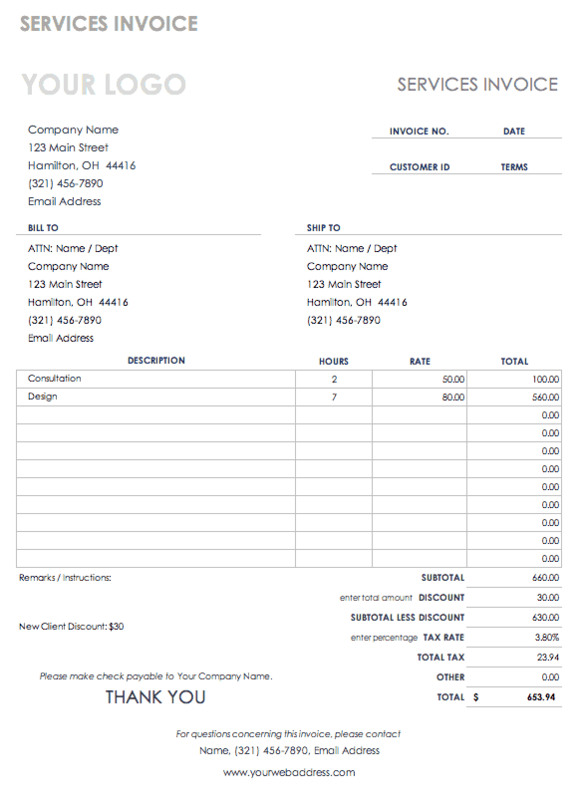 If you need a sales invoice for products, you can use this basic template to list items sold, calculate costs including tax and shipping, and describe payment terms. 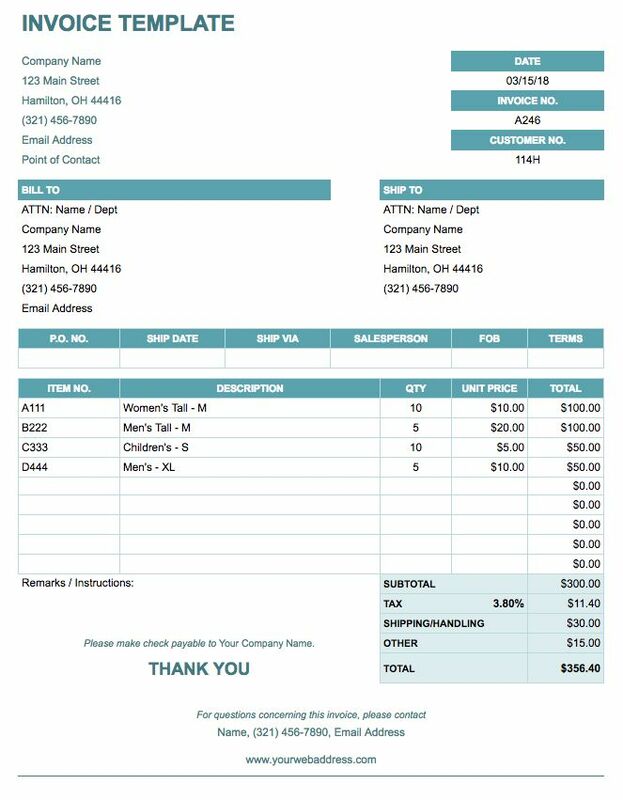 The template can also do double duty as a receipt template by simply printing “PAID” on the invoice. You can customize the template by adding a company logo and changing colors or formatting. The invoice includes a tracking number and customer ID for your records, and there is room for additional instructions at the bottom of the template. Initially designed with retail businesses in mind, this inventory management template is also suitable for restaurants, for tracking software inventory, or even for personal assets at home. Simply edit the spreadsheet columns to reflect the type of inventory you are managing. This template includes columns for tracking inventory location, quantity, value, and order dates. You can keep close track of when it’s time to reorder items to avoid having excess or insufficient stock. If you’re planning to buy or sell a business, use this template to assess a company’s value. You can also use it for your own information, for communicating with potential buyers, or when seeking a business valuation from an appraiser. Simply fill in the financial data, and the Excel template will complete the calculations for you. Careful planning is crucial for any business venture, and this is especially true when it comes to estimating startup expenses. Underestimating costs could quickly put a new business at risk. Creating a detailed budget plan may be required to secure a business loan. This template includes sections for funding sources and startup costs to provide a clear picture of required resources to support your business plan. 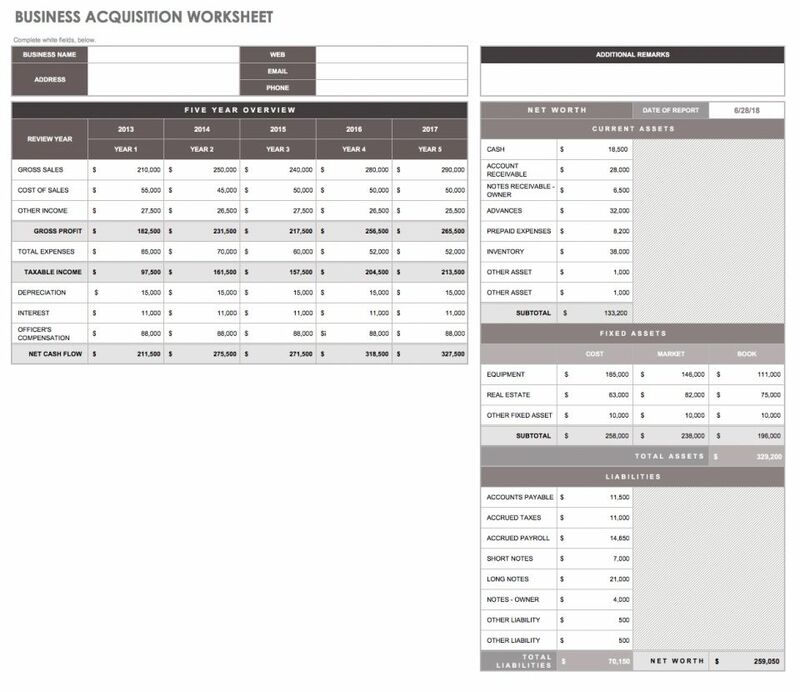 Use this template to create a comprehensive business plan in a spreadsheet format. Tasks are separated into planning phases and represented visually on a calendar timeline. The planning process can help ensure that appropriate action steps are taken to reach your business goals. This spreadsheet can be part of a broader strategic plan and vision for business objectives and growth. Manage your sales pipeline with this CRM template, which includes sections for tracking sales leads, communications, and contact information. This spreadsheet template can support your process of building customer relationships and reaching sales goals. The template also allows you to track sources so that you know how your business is getting sales leads. 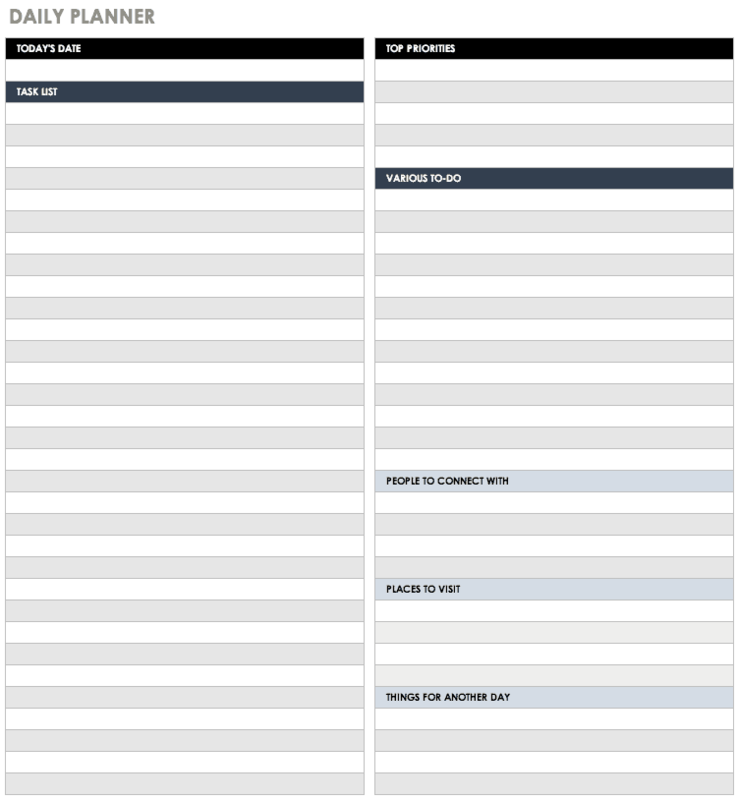 This marketing plan template features sections for strategic planning, budgeting, and scheduling. For each campaign listed, you can include goals, target audience, response rate, resources required, and a timeline. The calendar portion of the template covers an entire year, so you can schedule your marketing tasks based on weekly, monthly, and quarterly deadlines. There is also a section for tracking metrics to measure the success of your marketing plan. 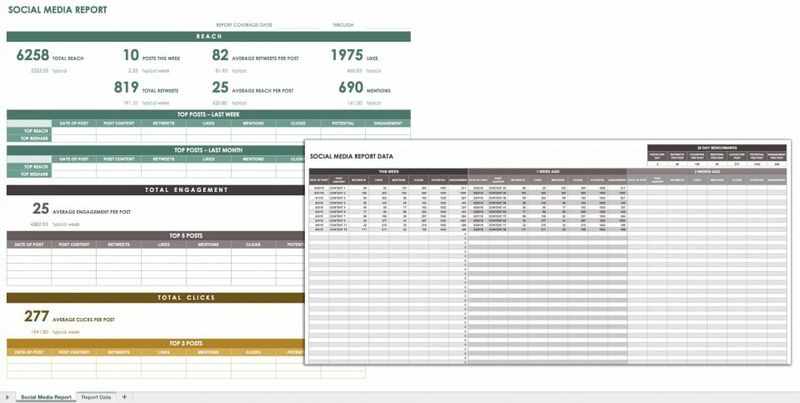 This template allows you to analyze and report social media metrics with a visually engaging layout. You can compile KPIs into a simple report to share with team members or other stakeholders. Tracking this information can help you gauge the effectiveness of social media marketing efforts and adjust your plan as needed. HR managers can use this template to track details for multiple employees in a given payroll period. The spreadsheet includes columns for salaries, overtime rates, retirement contributions, and more. You can edit the template to include whatever information is relevant to your payroll management process. 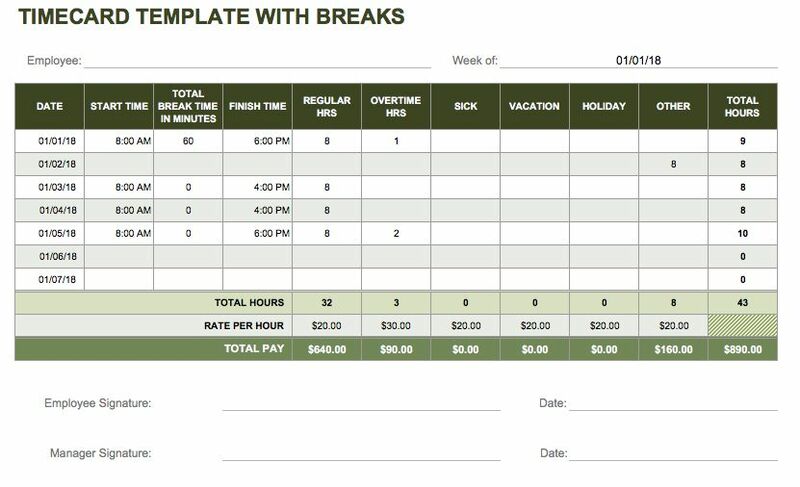 This timecard template is ideal for documenting weekly hours worked and calculating total pay. You can define hours as regular, overtime, sick leave, or vacation pay, and list hourly rates for each category. This timesheet also includes breaks, so employees can mark when they check in and out as well as break time. This is useful for protecting both employees and employers by creating accountability and ensuring that employees are taking their breaks. If you need to conduct a brief employee performance review, this template covers the basics. 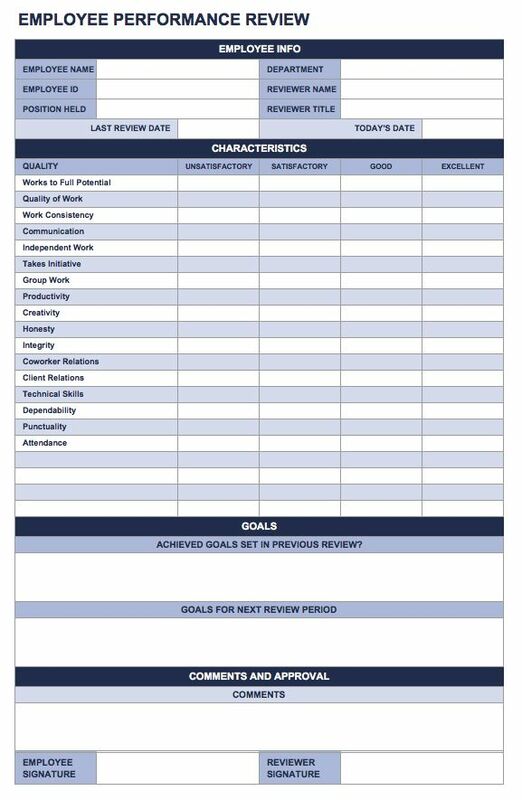 It has sections for rating skills and work performance, assessing previous goals, setting future objectives, and adding general comments. This template is appropriate for performance reviews that don’t entail lengthy written feedback, but you could expand it to include specific work details, self-evaluation, feedback for managers, or other employee information. In this daily planner template, each hour is broken down into 15-minute intervals, so you can create a detailed schedule for each day. There are also sections for listing important tasks and writing notes to manage your to-do lists. With busy schedules at home and at work, a daily planner can help you stay organized and reduce stress. 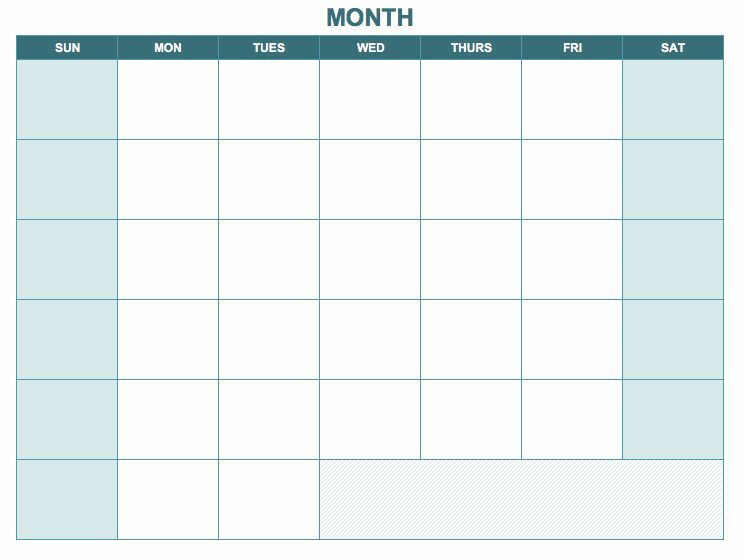 You can use this blank monthly calendar template for planning tasks and events for any month of the year in a traditional calendar format. Weeks run from Sunday through Saturday, and the layout makes it easy to view your schedule for the entire month at a glance. Easily save the original template file to reuse for future months, and add more sheets to create a yearly calendar with one month shown on each spreadsheet. Looking for more options? Check out this collection of weekly and yearly calendars for planning schedules. Creating a task list can help you get organized and ensure that important meetings, appointments and work projects aren’t overlooked. This to-do list template lets you prioritize tasks and include checkboxes for marking items off the list when completed. 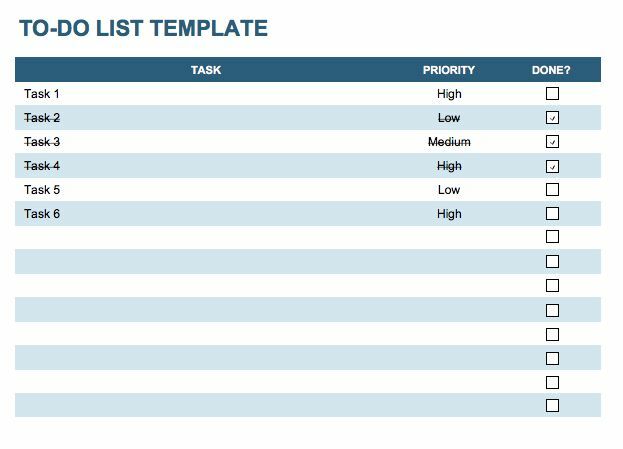 You could use this template for everything from a grocery list to event planning to project management. It’s a basic tool for boosting efficiency and remembering important tasks. Planning a wedding can be overwhelming, but breaking the event down into specific tasks can help keep things organized, compartmentalized, and on track. Viewing all of the elements of your wedding in one sheet - from flowers and food to invitations and photographer - can also make it easier to plan your wedding budget. 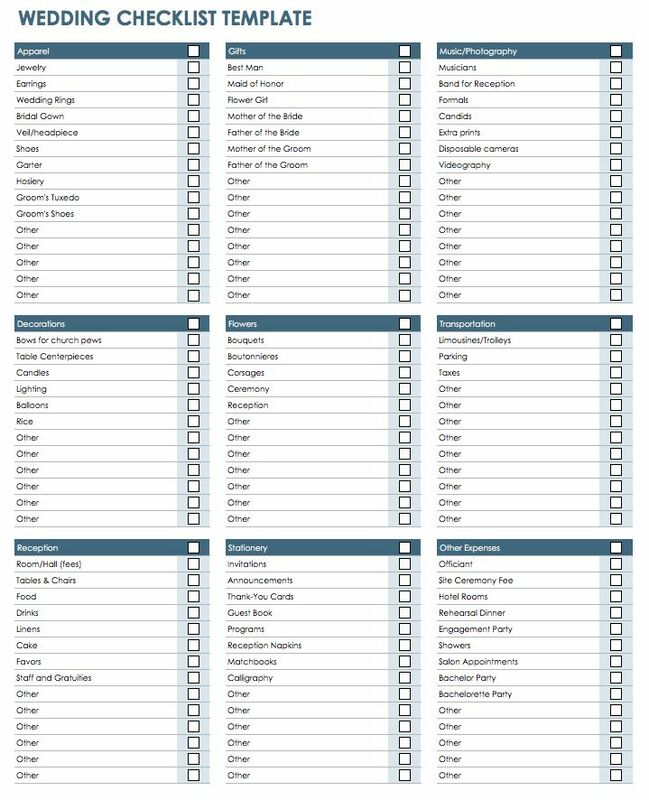 You can edit this wedding checklist template to add any relevant items, which may include pre-wedding parties or honeymoon planning. Streamlining business processes, managing workflows, and enabling cross-functional collaboration is the key to the success of your project or organization. To ensure that your business reaches its goal and objectives in the most efficient way, consider using a tool that enables you to plan, manage, automate, and report on projects and processes in real-time, in one centralized location. Select from a roundup of the top business templates for Microsoft Office.